After homeschooling for over 14 years, I have accumulated a LOT of supplies. I have tried things throughout the years that I thought I would love, but ended up collecting dust. Then there are those items which I reach for daily. When starting out, it can be overhwhelming figuring out what the must have tools for homeschooling are and sifting through the many choices available. 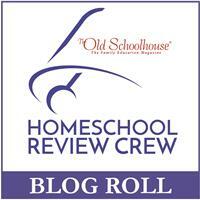 My hope is that this list might help both new and veteran homeschoolers alike! I will do my best to break these down by category for you. Note: This post contains affiliate links. By purchasing on Amazon from our links, My Blessed Mess will receive a small comission. Thank you for supporting our homeschool! See our policies and disclosures page for more information. Crayons, markers, highlighters, and colored pencils (we have both crayola branded supplies and a few artist-quality items as well). Pencils – we really like using mechanical pencils because there are not constant interruptions when the kids need to sharpen their pencil. It can be challenging for younger kids to not constantly break the leads, so we use something with a thicker lead. The Bic Velocity are our favorite and we choose the .9mm leads. For beginning writers, we opt for the Ticonderoga chunky kindergarten pencils. We do keep regular pencils on hand, as well as a really good electric sharpener. We like the x-acto brand. ERASABLE pens – our favorite pens of all time are the Pilot Frixion line, they actually erase clean and rely on friction rather than pressure which can tear up the paper. We use these when writing in our lapbooks and notebooks, since it shows up darker than pencil but still allows for mistakes. Scissors (various sizes for various ages/stages). Glue, glue sticks, and craft tape. If you do a lot of papercrafting and notebooking/lapbooking, a good craft tape runner is super helpful! Lined manuscript paper (for beginning writers) and lined notebook paper. Age appropriate dictionary and thesaurus. A good printer! I am personally a huge fan of Epson Workforce inkjet printers. I base my selection on whether or not I can find a refillable cartridge system because I do a LOT of printing and copying. Now they have started making printers with refillable ink tanks instead of cartridges, which I will probably opt for when the time comes to replace my current system. My printer is one of the tools for homeschooling I use every single day and cannot live without! Copy/printer paper and colored paper (especially if you do lapbooking). Some of these will only apply to younger students so use your best judgement! Counters (we have a set of rainbow colored bears) for counting, sorting, addition, subtraction, patterns, etc. I realize this is an exhaustive list. Please keep in mind, there are a lot of extra tools for homeschooling I listed here that I personally use and love, but they are by no means necessary! Do you have an item you think should be included in this list? Please leave me a comment and let our readers know what you would add and why! Lots of great ideas on this list. We just added a microscope to our supplies and are really enjoying it.